Whenever we talk about editing photos and images the very first thing that strikes to our mind is Adobe Photoshop, yes, it is Adobe’s one of the most used and popular tool for this type of tasks. 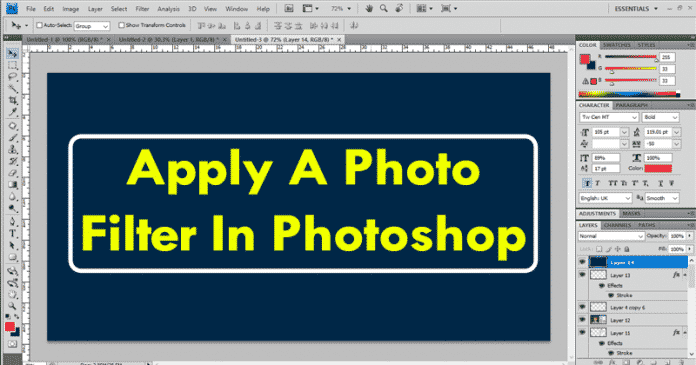 Hence, today in this post we will show you an amazing tutorial in which we will show you how to apply a photo filter in Photoshop. When we talk about editing photos and images the very first thing that strikes to our mind is Adobe Photoshop, yes, it is Adobe’s one of the most used and popular tool for this type of tasks. 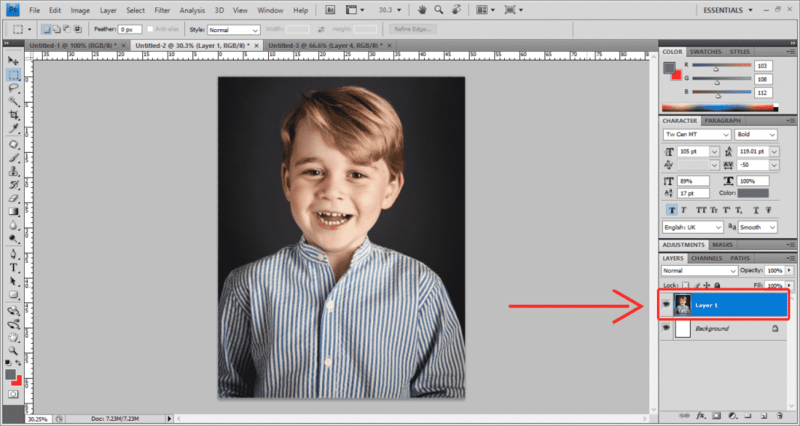 As the well-known photo editing tool of Adobe, of course, I m talking about none other than Photoshop features a large number of options that simply allows to edit and retouch the photos or images very easily. However, among all those features there is one that usually pleases most users is to apply different filters to give the image movie look, clean, retouch or apply special effects to your images. Therefore, below we will show you all an awesome tutorial in which we will show you how to use How to use filters and effects in Photoshop. So, without wasting much time let’s get started and explore the tutorial mentioned below. First of all, let me clear one important thing that there are several different ways to apply filters in Photoshop. The first one is through the Filter menu. 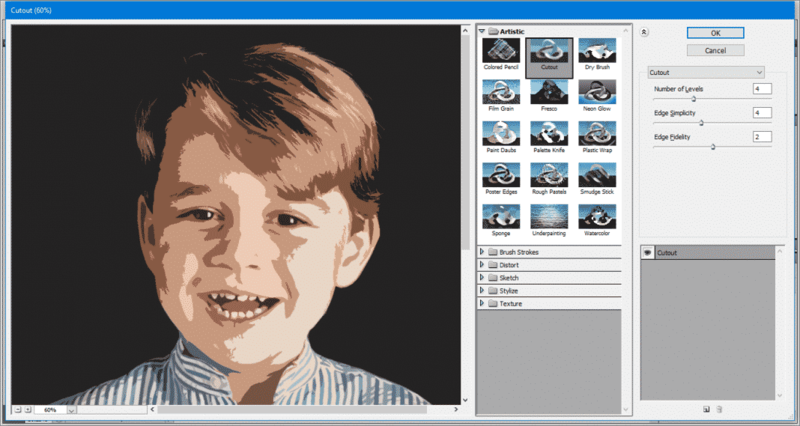 Now after opening the Filter menu, you will get all the filters available in Photoshop that you can apply them individually. Now to apply any filter individually to your photo, all you have to do is select the layer on which you want to apply the filter. Now after the above step from the Filter menu option, choose the one you want to apply. So, now if it is now enough for you then don’t worry, as we will show another way to apply filters which is through the Photoshop Filter Gallery. Yes, to do so simply follow the steps mentioned below. First of all to access the Filter Gallery option, simply go to the Filters menu option. Now simply select the Filter Gallery option from the filter menu. After the above step now you will get a new window within Photoshop which will simply look like the image mentioned below. Now you can select all these filters to apply which are organized by categories, Artistic, Sketch, Distort, Stylize, Texture and Brush Strokes. 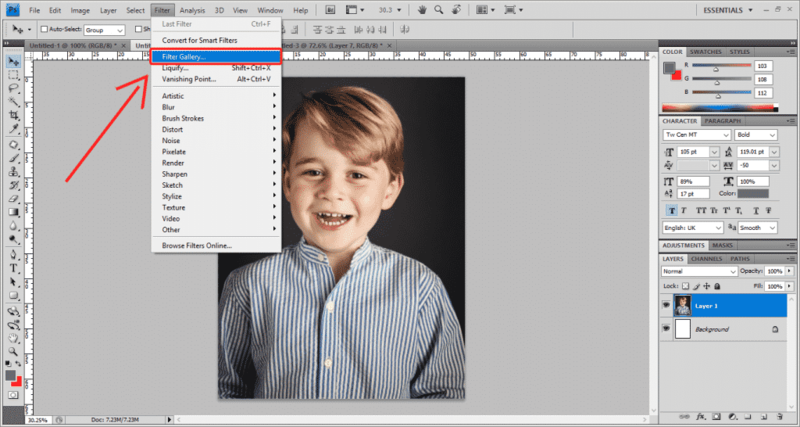 Now if we display the options of filters in Photoshop within each of these categories, each category will show a series of filters and effects that we can apply on our image or photo. Moreover, in the Filter Gallery window, we can also see the preview of each filter and effect before applying them, in this way, we will get the idea of how our image would look. If we like some of the filters but do not like the result, it is possible to make some variations in certain characteristics of each filter until we get the best possible result. To do this, simply we have to modify the values shown in the right part of the Filter Gallery window when clicking on one of the thumbnails of the filters in Photoshop. That’s it like this we can apply filter or effect in Photoshop very easily. So, what do you think about this? Simply share all your views and thoughts in the comment section below. And if you liked this tutorial then do not forget to share the tutorial with your friends and family.